If you're considering a European vacation this summer, may we suggest taking it via sailboat? Here are five reasons to consider the idea. There's no way around it: Europe is high season for travel. This means your chances of rubbing shoulders — or making friends — with like-minded globetrotters are higher, yes, but it also means you'll have to wait in a few more lines than you would in the off-season. One way to get around this? Take to the seas! You'll dock at some of Europe's most beautiful ports and explore some of the most beautiful cities while avoiding the hustle and bustle of high season. You know you love Venice — but what about Grado? Zadar, in Croatia, is beautiful, but have you ever considered checking out Koper, in nearby Slovenia? Sailing Europe's stunning coastlines will get you up close and personal with some of the continent's lesser-known — but no less worth visiting — towns and cities. Who knows: you might just fall in love with somewhere new. A big difference between many of our land-based European tours and our sailing Europe tours is the amount of food included: on our sailing trip, you get to choose where you'll eat in the cities we visit. Yes, this means you'll have to allot yourself a bit more spending money for your daily meals, but it also means freedom: to eat where you want, and what you want. Our CEOs — that's Chief Experience Officer, which is what we call our guides — are trusty, friendly, expert authorities on the region to which you'll be travelling with them. 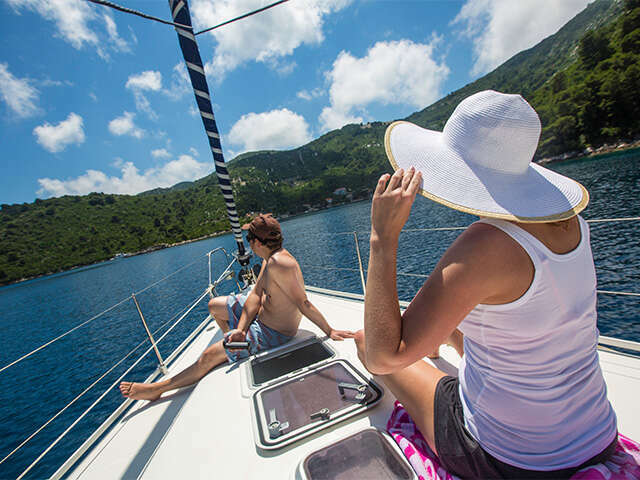 But when you travel by sailboat, your CEO is also a skipper: an experienced, knowledgeable sailor who's as good at navigating the sea as they are educating you on the local food, landmarks, and culture — so you can learn about your destination, and maybe a bit about sailing, as well! Some of the most beautiful beaches in Europe are only accessible by sailboat, so... you can see where this one is going. If pristine sands and sparkling coastlines are your idea of a good time, hop aboard a sailboat and let your skipper bring you to paradise!